Islamic State militants have released 25 Kurdish schoolchildren its fighters kidnapped in May, a rights group has said. The 25 are the last to be freed from a group of more than 150 schoolchildren abducted in northern Syria, according to the British-based Syrian Observatory for Human Rights (SOHR). The children were kidnapped travelling to their hometown of Kobane after taking exams in the city of Aleppo. It is not known why IS released them. A local official, confirming the release to Reuters, suggested it was for propaganda purposes. Human Rights Watch in July said 15 children previously freed were part of a hostage swap for IS fighters captured by Kurdish forces. The release comes amid ongoing fighting in Kobane, as Kurdish forces backed by Syrian rebels and US airstrikes battle IS. In Iraq, IS militants shot dead 30 Sunni Arab tribesmen in a town west of the capital Baghdad, local officials said. 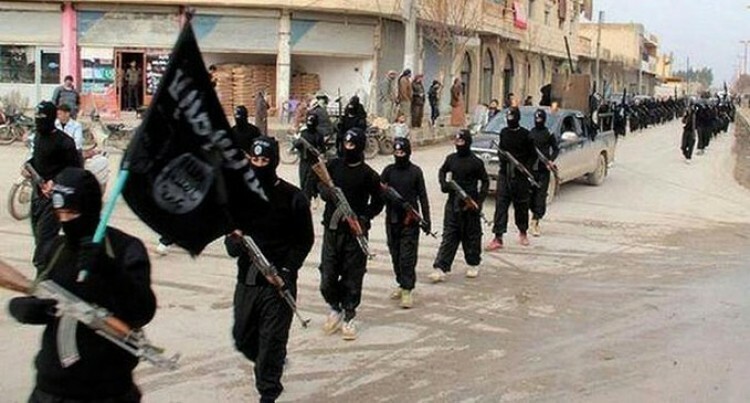 The killings reportedly took place in Hit, in Anbar province, which fell to the jihadist group earlier this month. Residents said the men were paraded through the streets before being shot. They belonged to the Al Bu Nimr tribe, which has allied with Iraqi government forces attempting to seize back a ;large swathe of territory claimed by IS since January.